Elyse Embroidered Slim Crop Medium Wash is rated 3.0 out of 5 by 1. Rated 3 out of 5 by Genevieve from Sizing?? but Quality is GREAT! Just got my jeans and while they seem like they will eventually be AMAZING, a 28 which is my usual jean size are huge. They feel like they are about 2 sizes to big. So once I am able to get a smaller size, i will ammend my review. 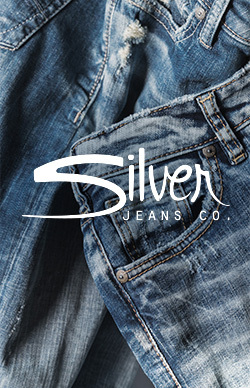 The quality however looks and feels like the Silver Jeans I am used to...very good! Love the style and especially the embroidery!